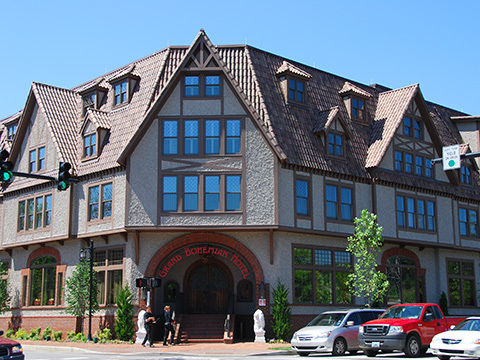 A former 80 year old service station was redeveloped as an upscale “boutique hotel” in the heart of Biltmore Village. The site had to be meticulously planned “curb to curb” on the existing site. The project required the hotel to encompass the entire property with below ground parking. The site is located in a flood prone area of Biltmore Village. BEA then engineered and permitted the site construction through the City of Asheville’s Historical Review Committee and Technical Review Committee process. As the hotel was to be a focal point in Biltmore Village, at the entrance to the Biltmore Estate, the project was heavily scrutinized. Project management included relocation of underground utilities.